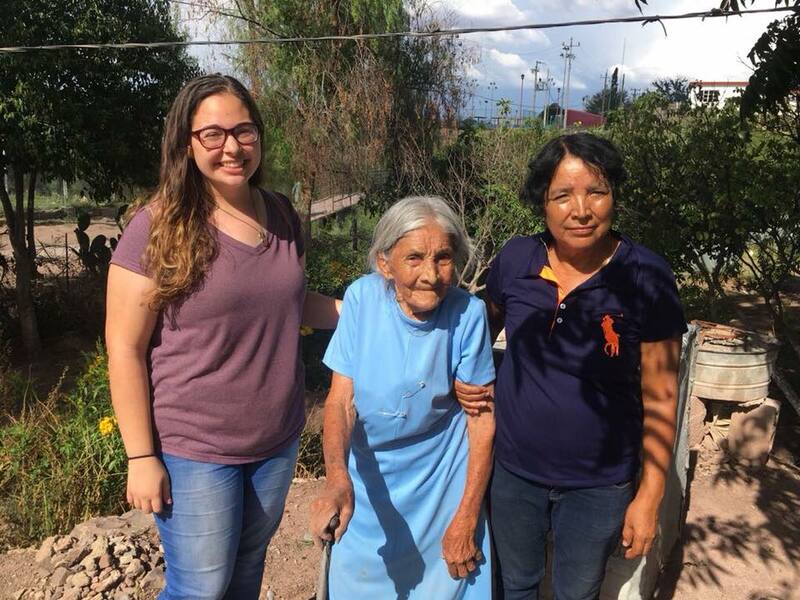 Bonnie, a newly commissioned FMC missionary, reflects on her time in General Cepeda, Mexico during Intake 2018. 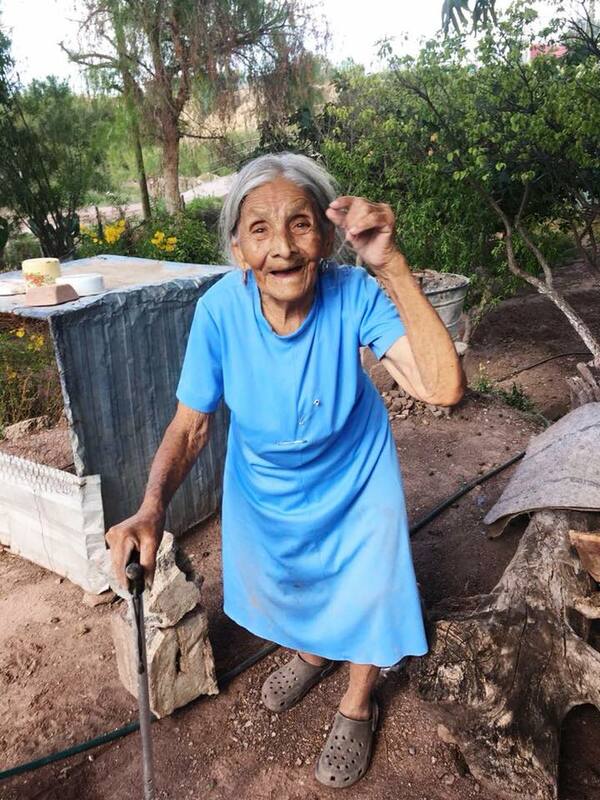 I made a strong bond with a woman named Doña Marciana that I met during a home visit. The first time I encountered Doña she was wailing and crying out. 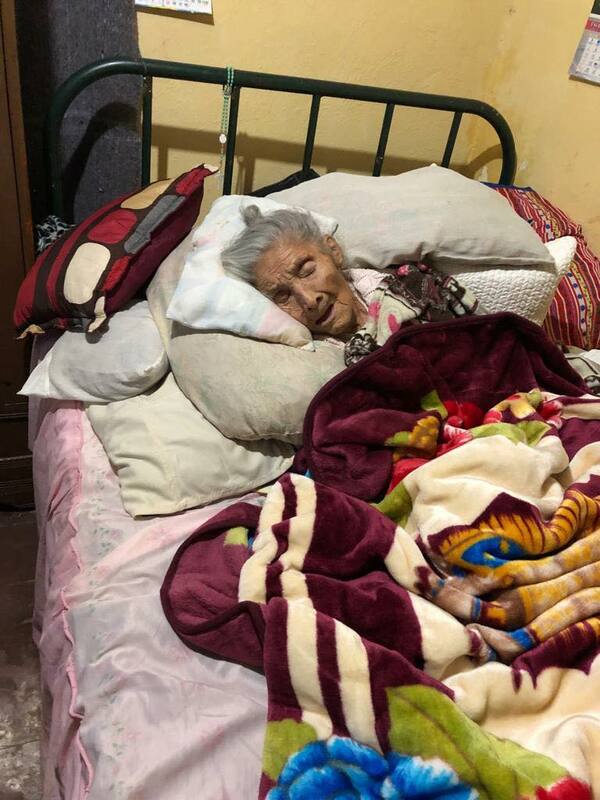 She is an elderly woman who has now been bedridden for two months. She was laying on her death-bed and was in so much pain throughout her entire body. My fellow missionaries began to pray a rosary to Our Lady of Guadalupe. I climbed into bed with her and just held her. At one point she asked if I could rub some cream on her legs to help with the soreness and circulation. The following day, when I went to visit her, she was sleeping, so we prayed over her quietly. We decided to stay and talked with her daughter Goya in the other room. 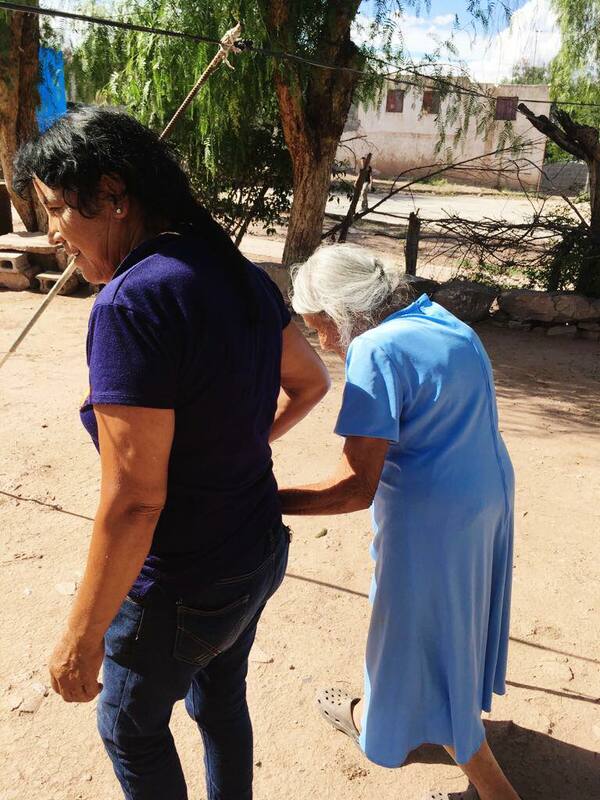 Her daughter is in her 60s and is her only caretaker, which has been burdensome for her at times. Goya evangelized to us as she talked about how we must abandon everything to the Lord and entrust everything to him. 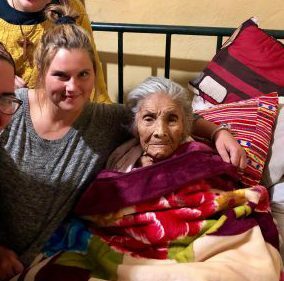 Suddenly, her mother woke up – but, to our surprise, she was filled with so much joy! She was feeling no pain, laughing and telling us jokes, telling us how much she loved us and how much these visits meant to her. I got her to eat a big mouthful of bread which was monumental because she hasn’t been eating or drinking hardly at all the past two months. 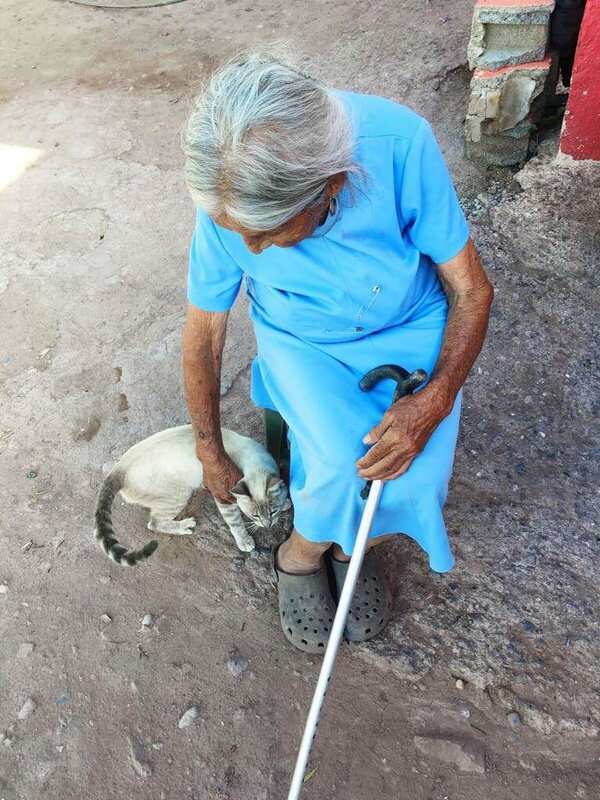 The last day I was to visit Doña she was feeling the worst she had been all week. Again, I got into bed with her as she was wailing out and held her. She let me change her and rub cream on her bed sores. These few moments with this woman imprinted on my heart forever. I had one of my best friends named Kristen pass away as I was driving to Mexico to embark on this journey with the Lord. I could not take care of her as she was dying or go to her in her time of need. However, the Lord let me do this for Doña. I had a few brief moments where I felt like I was looking into the eyes of Kristen. Most of the time however, I knew the Lord was truly just letting me hold Him. How humbling is that!? Who am I to be able to do this? The world would say you are just a stranger in someone’s home, but the Lord would say that we all are brothers and sisters. The veil between Heaven and Earth is far thinner than we realize. We do not have to wait until Heaven to be united in love: we can have it now. What is love? Is it something that is deep and raw and vulnerable and powerful that we cannot quite grasp? Love, by definition, is good because it directly comes from our Father in Heaven. He is love. In our own humanness we will never fully reach that, but He is saying, “Child, that is enough for me.” Even when my own human love falls short… He will remain. His love, His healing, and what He is doing in all the hearts of the people I encounter is abiding and everlasting in this imperfect world. God works in all the exact opposite ways that the world would work. As painful as it can be at times to grow or to stretch, the fruit it reaps is greater than anything we could conjure up in our lifetime. His goal is not to rob us. He is purposed to see what you lack and fill it with more of Him. He does not leave us without peace to cling to or a truth to have hope in. He is that good! Do not let your circumstances define who He is for you, or what the outcome will be. The distance from where we start to where we end up is limitless with Him. Though our humanity craves easier routes and the avoidance of anything that would entail endurance, it’s those hard things that create more endurance in us. We must wait and trust the process, believing in the one who sees over our path – even if the journey looks different from what you expected or hoped. He has something more to give you. Most importantly, let Him love you in this all-consuming way and see how much you can feel Christ’s burning love for souls.